Lawyer, municipal politician, civil servant, Senator. Born in County of Iberville, Canada East on 15 August 1844, the son of Thomas Bernier and Julie Letourneau, he was educated at the Séminaire de Saint-Hyacinthe, Canada East (now Quebec) from 1857 to 1865 and was admitted to the Quebec Bar in 1869. He began his law practice at St. John’s, Quebec where he served as crown attorney. He came to Manitoba in 1880 under the influence of Father Albert Lacombe and bought farm land at Ste. Agathe. In 1881, he was appointed a member of a commission to investigate the working of the law with respect to Metis lands. From 1881 to 1890, Bernier was Catholic Superintendent of Education for Manitoba. The Greenway government abolished the dual educational system in 1890 but, in 1892, Bernier was appointed to the Senate as a Conservative, and there he spoke often on the Manitoba Schools Question. 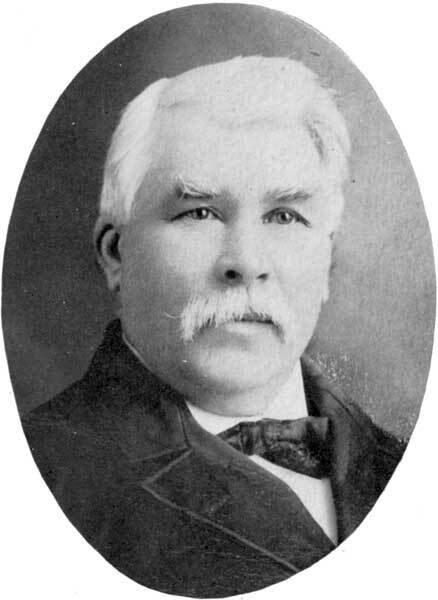 He was a candidate for the Carillon constituency in the 1892 provincial general election, French clerk of the Manitoba Legislative Assembly, a member of the Provincial Board of Agriculture, and Chairman of the Eastern Judicial District Board. He served frequently as Mayor of St. Boniface (1883, 1884, 1886, 1891, and 1897) and was Registrar of the University of Manitoba from 1882 to 1893. He wrote several pamphlets including Le Manitoba, champ d’immigration (1887). In 1871, he married Julie Malvina Demers, with whom he had ten children, seven of them living to adulthood: Joseph Bernier, August Bernier, Noel Bernier, Alfred Bernier, Alexandre Bernier, Mary Bernier, and Rachel Bernier. The family lived at 265 Provencher Boulevard. Bernier died at St. Boniface on 30 December 1908. He is commemorated by Bernier Bay. His papers are at the Archives of Manitoba and the St. Boniface Historical Society. “Senator Bernier is dead,” Manitoba Free Press, 31 December 1908, page 5.